Are Right to Rent Checks for everyone? Yes! Except for underage children that is. But even then, you need to check their age, particularly if they are a teenager, just to be sure they really are under 18 (and keep a copy of the proof). It’s important to know who is applicable for Right to Rent checks and how to carry one out – let us help you with this guide. All tenants or lodgers aged 18 or over must be checked to ensure they can legally rent your residential property in England (including British citizens). Check which adults will use your property as their main home (your ‘tenants’). Ask them for original documents that prove they can live in the UK. Check their documents to see if they have the right to rent your property. Check that each tenant’s documents are genuine and belong to them, with the tenant present. IMPORTANT NOTE: You can get an unlimited fine or be sent to prison for renting your property to someone who isn’t allowed to stay in England. You must do a follow-up check to make sure your tenant can still rent property in the UK if there’s a time limit on their permission to stay. You can get a fine if you don’t do a follow-up check and your tenant’s permission to stay ends. 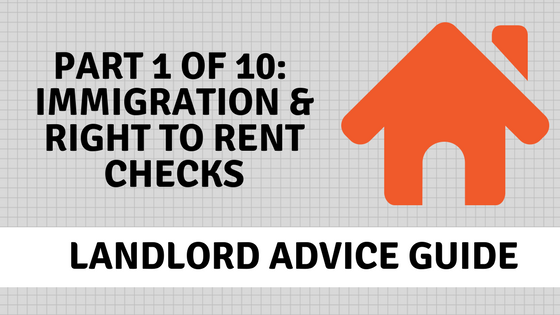 You don’t have to do a follow-up check if there’s no time limit on your tenant’s permission to stay in the UK. You must tell the Home Office if you find out that your tenant can no longer legally rent property in England after doing a follow-up check. You can ask Readings, your export Leicester letting agent that can manage and/or let your property to carry out the check for you. We’ll put this agreement in writing for you.